Recently, we began a series on how to blog successfully in your niche, focusing first on food blogging. Regardless of whether you are a bonafide food blogger or just someone who posts a recipe from time to time, these posts are for you! Our goal is make any post you create about food and cooking as eye-catching and well executed as possible. 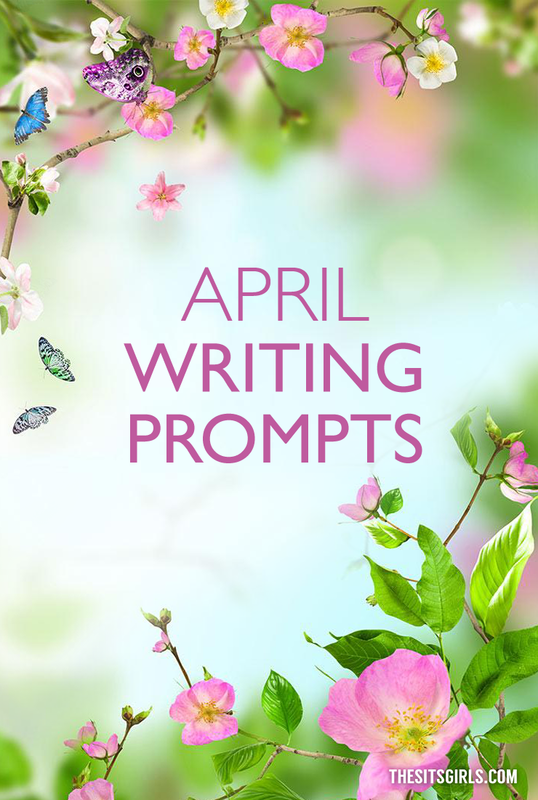 So far we have shared how to create a fabulous food blog where we offered you 10 tips for ensuring success in the food blog niche. Now, we want to take our series one step further and dive into the anatomy of an engaging food post. Question: What Makes A Food Post Great? Katie from Good Life Eats and Shaina from Food For My Family are food bloggers on the rise and there’s no doubt that due to their efforts, they create food posts that draw in their readers and keep them coming back for more. Both Katie and Shaina use best practices when putting their food posts together, and both were gracious enough to field my questions and share their words of wisdom on the anatomy of a solid food post. I’m personally not into step-by-step shots unless there is a difficult technique that needs to be illustrated. I’m not always in a story-telling mood and sometimes don’t have anything particularly interesting about the recipes background, so I at least try to be helpful by providing take away information in addition to the recipe. Formatting makes a post a lot more pleasing to read, rather than a large block of text. Readers tend to skim, so I try to make the most important points stand out easily. This is something that the reader would be interested in knowing, whether it be a cooking tip, information about food or a recipe. A post needs to contain something valuable to the reader. One that we enjoyed and would make again. We live in a visual world, and while some people may be drawn in by prose, others are hooked by the eye candy dancing in front of them. Question: What Are Common Mistakes Bloggers Make in a Food Post? Recipe formatting is a hard one for me. If I see a recipe that’s poorly written or that is broken up by photographs, I can’t continue reading. Searching for pieces to the puzzle and trying to decipher a recipe is a deal breaker. 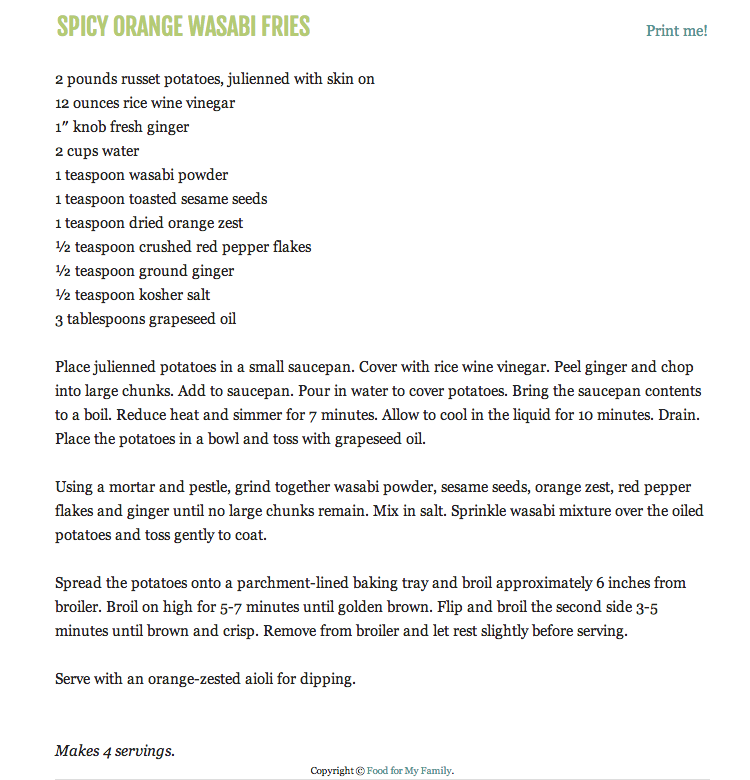 Below is a screenshot of a recipe at the bottom of Shaina’s food post on Spicy Orange Wasabi Fries. In addition to educational information, step-by-step photos and instructions, and a bit of a back-story, Shaina makes the post easy to navigate to pertinent information. Her approach works for those of us in a rush and it allows those interested to linger over the beautiful pictures of the process. Notice how Shaina also has a “Print Me!” option? 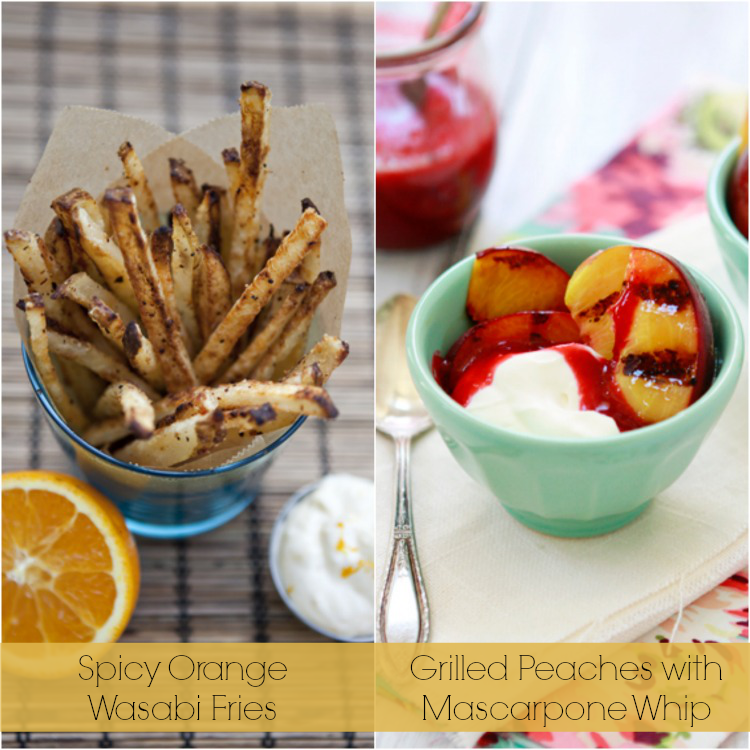 A fabulous printer-friendly recipe at your finger tips? Yes please! The biggest mistakes made by food bloggers is not including a photo of the final recipe When I first started blogging, I didn’t think that was always important, but I was wrong. People want to see what the food looks like. Readers are visual and tend to skim posts. Recipes without photos aren’t going to do well. 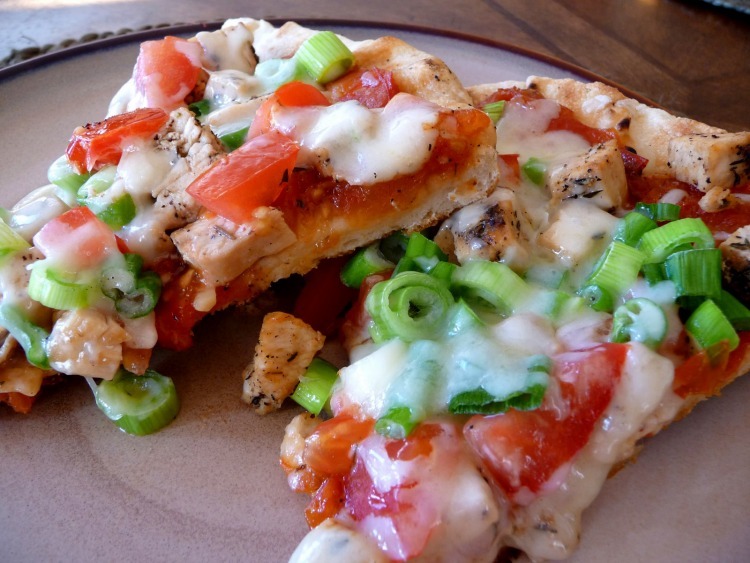 Just look how yummy this photo of Katie’s BBQ Chicken Pizza is! Not crediting the original source of the recipe is also very poor form. If you’re blogging about something that is not your original creation and you’ve not changed anything about the recipe’s ingredients, then you need to credit the source with a link back to the original copy. That being said, if you’ve made minor changes, credit the recipe as “adapted from” with a link to the original source. Crediting a recipe as “inspired by” is also a good idea if you got the idea for your post based off of something someone else created. Also, if you’re using someone else’s recipe (with credit of course), it is important that you reword the recipe’s instructions using your own words. 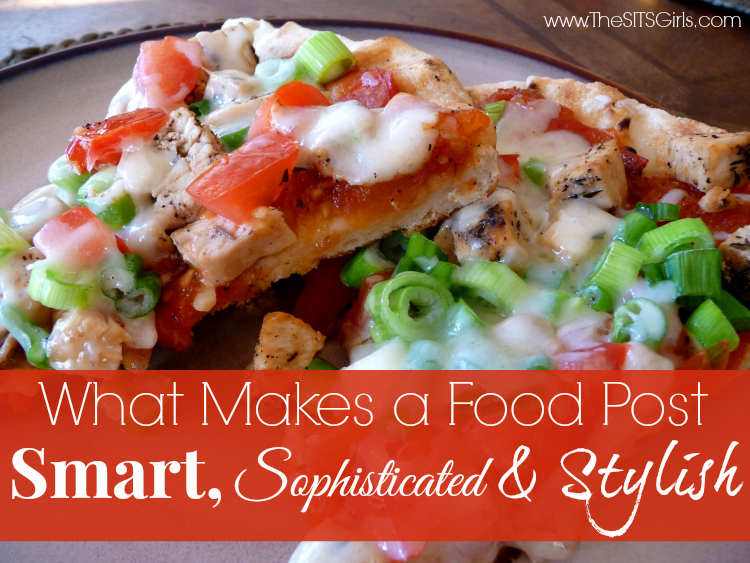 Like This Article on How to Create a Rockin’ Food Post? 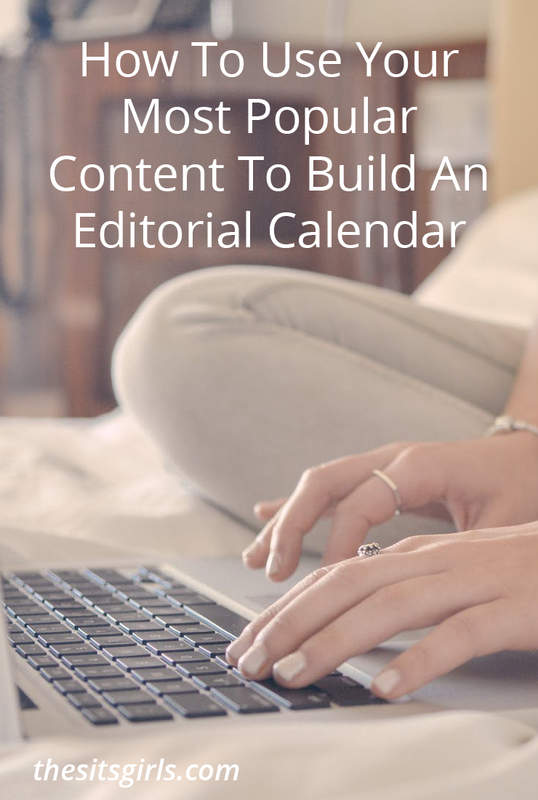 Good tips, but I am guilty of poor formatting I guess. I was trying to write for every person, including those who aren’t as comfortible in a kitchen. I love these tips… I’ve found that recipe posts are a great way of gaining traffic to your blog, especially thanks to Pinterest! Thank you for your post and for the tips! I have a bunch of blogs, including one on vegan cooking. You are right about the photos. The posts that I have which show tasty-looking recipes are the ones that consistently rise to the top of traffic. I know I could do better there and I always strive, but I have to really improve in the use of my camera! Good article! these tips that you have shared are truly helpful.There are many food blog but this become one of the most popular blog.Thanking you for sharing. Great Tips! Food blogging has definitely become one of the most popular blog subjects on the Internet. There are food blogs of every kind. Some might cater to a certain crowd, like vegans or people who suffer from celiac disease. I post recipes on my blog and use ZipList Recipe Plugin for WordPress to format it like I did on this recipe http://lewislanedesigns.com/chilis-skillet-queso/. Do you think using the plugin is a good idea or do you think probably better not to? I am so glad I am not the only food blogger that doesn’t post photos of every single step. Here are the ingredients, here they are in the bowl, here it is before the oven, in the oven, out of the oven, plated. …. I might do a few but I try not to break up the recipe too much. If I am on my mobile it is just more to load and scroll through. Great points! Having this article two years ago would’ve saved me TONS of aggravation as I learned. Thank you for sharing! Thank you for this! I needed it. I’m not a food blogger, but I am a health, fitness, and nutrition blogger, and the nutrition part comes with recipes. And I struggle in this department because I never intended to blog about it! Because I’m NOT a food blogger. I just happen to write about food once in a while this was some good info! Love this because I did a food post last week, but I am so not a food blogger. 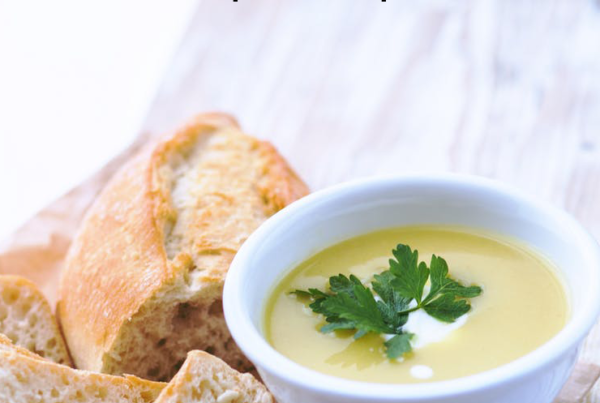 I have been posting more and more recipes although I haven’t considered myself a food blogger! Thank you for the tips ladies! Thanks for all the tips. I too didn’t really think too much about posting pics when I first started but you’re right, I do tend to glance over recipes that don’t have pics. Pics are also important and I’ve become more conscious about how to set up my pics. I’m not an expert but glad I’m more conscious. Thanks for the post! Love these tips! Some of them I learned by trial and error but am ready to rock and roll for the October launch! Thank you so much for posting this! Great seeing Shaina and Katie here giving great pointers! They both write wonderful blogs! Oh gulp. I include step by step photos and don’t have a good recipe format. The recipe format I am working on, but does everyone hate step by step photos? I guess I like showing the French ingredients or … maybe my recipes are more for people who don’t know how to cook. I’ll have to rethink all these things. Good tips 🙂 As a food blogger, I appreciate the insight. I like to include step-by-step pictures as well, and I’ve gotten positive feedback that that’s helpful as well. The pictures I’ve found are the most important part of the entire post. Excellent points! So happy to see Nicole posting here! My 18 year old sister-in-law just started her own food blog, and has asked me to give her my opinion and tips for success. Most of those listed here are exactly what I was going to tell her, so good to know that I’m on the right track. The one that most especially gets to me is the giving of credit where it’s due. My sister-in-law not only failed to link to the original recipe, but it was mine to begin with! These posts are so helpful, thanks again SITS! Great information! I absolutely agree with the importance of photos especially the final product and also a story that goes with the recipe is important…..no matter how short. I think having a flattering photo of the final product as an intro to the recipe is a great way to get more attention from readers who are just skimming. Also I do like to include step by step pictures even if the recipe is not that difficult. I received numerous comments and emails from beginner and novice cooks on how much they appreciate the step by step visual and how much easier it is for them to follow that way. I sometimes write up recipes. These are great things to know. This is great information. I was going to ask about the “printer friendly” option. That is a skill I do not know yet. Any links or help is appreciated. I’m not a food blogger, but do like to share recipes. My host is blogger. I host a monthly meal planning meme right now to help busy moms find recipes to plan meals so I do I share recipes for those type of posts. I look forward to putting what I learned today into practice. Great points! I waited way too long to add a “print this recipe” link to my posts, but now it’s there (thanks to the request of fans). It wasn’t easy since I’m still using Blogger (gah! ); however, with a link to a Google Sites it ended up being doable. And, in my opinion – photos might be the most important part of a food blogger’s posts! Good, large, well staged photos. Readers (viewers?) love food eye candy! I’d really be interested in hearing recommendations for plug ins or gadgets that help make a recipe printer friendly. I found a Printer Friendly button for blogger, but I”m thinking of switching to Word Press soon, and would like to know what plug ins or software that food bloggers recommend.